Enjoying our new kitchen with some homemade biscuits and gravy. Yum. Add flour, baking powder, and salt to the bowl of a food processor (or a large bowl.) Add butter pieces and pulse until butter is completely cut into the flour mixture (or use a pastry cutter if using a bowl.) While pulsing (or stirring) drizzle in the buttermilk until dough just comes together and is no longer crumbly. With your finger, tear small pieces of sausage and add them in a single layer to a large heavy skillet. Brown the sausage over medium-high heat until no longer pink. Reduce the heat to medium-low. Sprinkle on half the flour and stir so that the sausage soaks it all up, then add a little more until just before the sausage looks too dry. Stir it around and cook it for another minute or so, then pour in the milk, stirring constantly. Cook the gravy, stirring frequently, until it thickens. (This may take a good 10-12 minutes.) Sprinkle in the seasoned salt and pepper and continue cooking until very thick and luscious. If it gets too thick too soon, just splash in 1/2 cup of milk or more if needed. Taste and adjust seasonings. 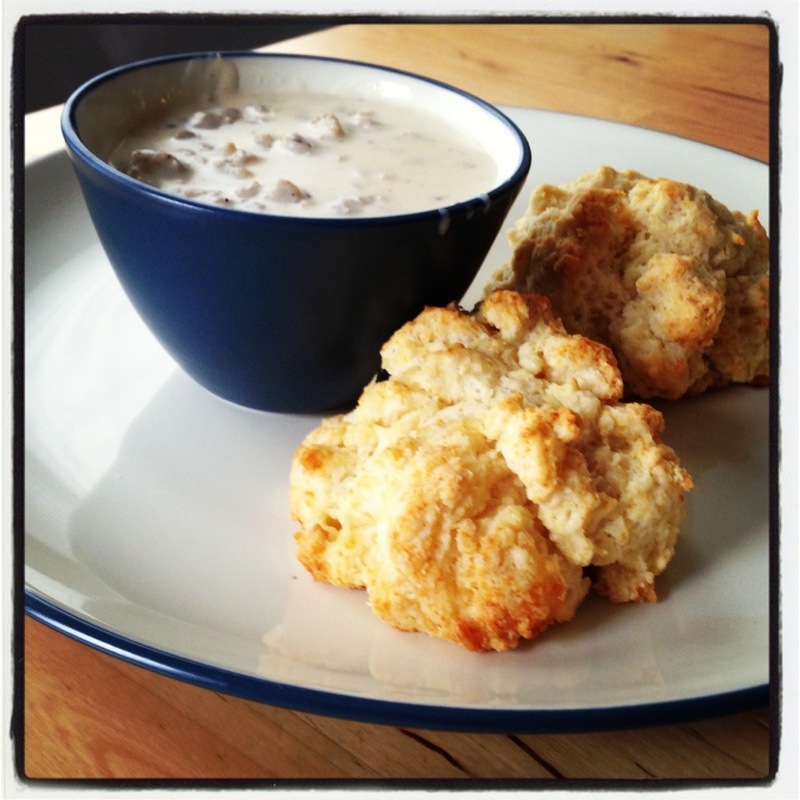 Spoon sausage gravy over warm biscuits and serve immediately!